Last week marked the 9th anniversary of Hurricane Katrina, a strom that was among the deadliest in U.S. history. More than 1,800 people died in the storm, while wind, water, and flood damage was widespread. In New Orleans, the damage was profound as the levee system failed in the wake of the hurricane, flooding the city. The entire Gulf of Mexico region suffered immediate and long-term impact from the storm. It is estimated that more than 600,000 people left the region as a result of Katrina. Industries including oil, fishing, and forestry suffered greatly, and efforts to rebuild the region are arguably still underway today. The failure of the levee system in New Orleans has sparked a national discussion on flood protection, and storms since Katrina have shown how vulnerable American cities are when it comes to hurricane winds, rain, and storm surge. Hurricane Sandy hit the East Coast in 2012, stunning some residents and homeowners who are just now getting the go-ahead and funding to begin rebuilding their damaged homes and businesses. It’s not just coastal cities that have to worry when a tropical storm hits. The amount of rain produced by huge storm events can trigger flooding and flash flooding inland, too. This map from the National Hurricane Center shows rainfall levels during Hurricane Frances in September, 2004, revealing vulnerability of regions as far inland as western North Carolina and Southeastern Ohio. September is National Preparedness Month. 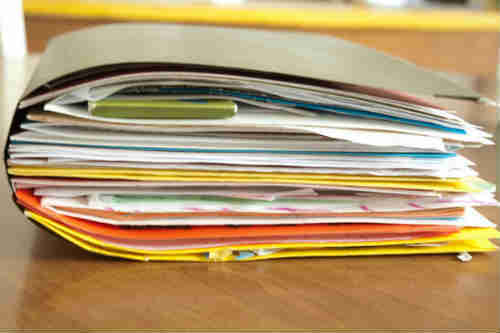 Perhaps your kids are coming home with information on what to do in case of a tornado, flood, or hurricane in your town. It’s a good moment to take some time to think about your safety at home and work. 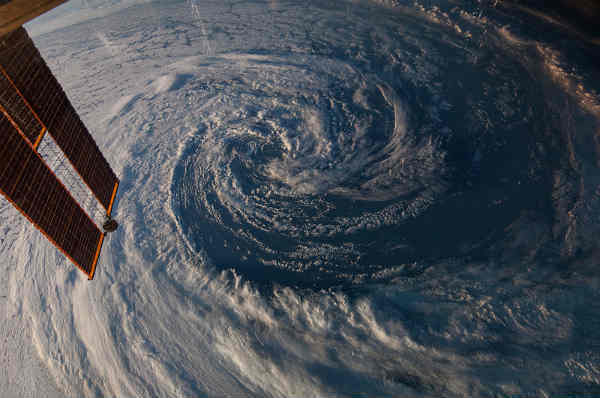 The National Weather Service sponsors a whole series of web pages on disaster preparedness with some very practical information on what to do in case of an emergency. Does your family have an emergency plan? Does your workplace have an emergency evacuation plan? Take some time to read on the topic, and take some action – get the family together and make a new plan or review your existing one. At the office, volunteer for the safety council, and if your company doesn’t have one, start one. Your local emergency management service office (or fire department) should be able to help you get started. September is also a good time to re-asses your property and investments to see if they’re in need of updating. Are there any new vulnerabilities in the region to consider? There are some coastal areas that are reassessing their risk of flood based on elevated ocean levels. Norfolk, Virginia, is a town that’s sinking as sea levels rise around it. Also check any property you own against zoning or building codes to make sure your structure is up-to-date. As storms intensify and cause more damage, regulations that govern buildings are changing, too. If you don’t have hurricane or wind coverage, you may find that you’re out of luck – it could be difficult or almost impossible to purchase hurricane and wind insurance where you live. If that’s the case, you may want to consider alternative methods for managing the risk you face. Contact us if you’d like to explore options in enterprise risk captives. Before you launch an enterprise risk captive, make sure you understand what your long-term relationship will be with the captive manager. Find out what is involved in the day-to-day management of a captive, from compliance basics, to planning, and long-term management and get a list of the critical questions you should ask potential captive managers to ensure your long-term investment will be professionally managed. Before we consider launching an enterprise risk captive on behalf of a potential client, we work closely with them to vet their business and make sure that they are right for a captive. This process has many steps and involves a great deal of research and digging to get an accurate picture of a company’s financial situation. With this information, we’ll insure that a captive is not only a good investment for a company, but that the company meets all the legal, regulatory, and compliance standards required to launch a captive. Once we agree that the client is appropriate for a captive, our team develops underwriting and creates coverages appropriate for the company. We write up and submit all the necessary applications, financial forms, legal and regulatory compliance data, and work with the client to make sure their board of directors and staff understand the nature of the captive so that we can work with them on ongoing management issues. When we launch the captive, we hand over to the client copies of all of the licenses, documentation, and paperwork that we’ve created for their captive. We want any questions of integrity – of your captive or our management of it – to be managed with a policy of open door transparency policy of transparency. We are a partner in your captive for the long term, and our staff is there to make sure your company is compliant. Above all, we’re here to ensure the performance of your captive. We shoulder the responsibility of underwriting and pricing your risk appropriately so that, ultimately, your captive is operating efficiently for you. As you consider captive managers, use the bullet-points above as a guide for questions you might ask them. What kind of initial documentation do they provide, and how closely will they work with you on an ongoing basis? Ask about their process for answering questions from state and federal regulating agencies quickly, and ask about IRS audits their clients may have experienced in the past – what kind of support did the captive manager provide, and what is their average response time? Our goal is to create captives that manage risk appropriately for clients and that perform well over a long period of time. As partners in your business, we will be with you every stop of the way. If you’d like to find out more about our process and our service, give us a call. Read our Enterprise Risk Captive Basics series – Part I is an overview of captive rate structures, and Part II addresses captive loss ratios. Enterprise risk captives insure risks that are highly volatile and severe – events that happen infrequently, but when they do happen, they are very big. Over the course of a few years, a captive can go from very low liability to a total limit loss. That’s why captives need to be structured correctly, so that they’re ready to absorb these losses when they do happen. There is a misconception that captive loss ratio pools are at 5 percent, and that underwriters are overwriting the risks a captive covers. It’s true that a captive can operate for 5 – 7 years on average with no loss at all, and then suddenly experience a 100 percent loss, accounting for a more realistic 50 percent loss ratio. Comparing this loss ratio rate to the commercial market won’t work in this case. The loss ratio for a captive is going to be much lower in profitable years, and extremely high in a given year. A commercial policy might insure nuisance flooding and pay out on small claims throughout the year – a captive, on the other hand would cover a catastrophic flooding event and may pay only one huge claim in ten years. Additionally, captives cover catastrophic events that aren’t even priced on the commercial market. An A.M. Best Special Report on captive performance outlines how any why captives differ from commercial rates and is well worth a read for additional information on the topic. Pricing risk appropriately is a key function of any insurance company. A really big player in the insurance industry can be brought down quickly if they haven’t structured their pricing appropriately. As captive managers, we’re looking at the severity and volatility of risks, along with the cost of the claims and the breadth of the coverage. These are the four key areas of captives that influence pricing. Because captives are “boutique” in what they offer as well as in how claims are paid, some of the pricing is higher. Captives don’t see the type of day-to-day volume in claims that commercial providers do, so captive managers don’t enjoy contract pricing with law firms or big accounting firms. These costs are perhaps less frequent, but more expensive to the captive manager when they arise. Captives also specialize in deductive buydowns. As the nature of the commercial market changes, so do captives. Consider employment practices and liability coverages. Most companies that carry an HR policy typically have HR procedures well in place. The sophistication of HR in general has caused underwriters to raise deductibles so that only the most severe claims are covered. But when a problem does arise, the companies are now faced with paying out-of-pocket claims of up to $25,000 to almost $75,000 in some cases. Captives are there to alleviate those instances where the unexpected occurs. Can you break down your expense ratio for me? Can you show me your past performance for loss ratios? Can you talk about the experience your underwriting team has and how their experience relates to my industry? The relationship that you have with your captive manager will be a close one. Be sure the company you work with can speak with integrity about their approach to the business, their expenses and losses, and that they’ll patiently take the time to help you understand their business as well as you want them to understand yours. If we can help you work through some of these questions, contact us. Did you miss Part I of our Enterprise Risk Captive Basics series? Read it now. Or go directly to Part III to learn about ongoing captive management. As enterprise risk captives become more widely known in the U.S. market, they’re getting more attention from consumers, insurance agencies, and regulating bodies. Regulating agencies are looking at domestic captives to make sure they are following the rules laid out under the IRS’s guidelines for enterprise risk captives. Meanwhile insurers and companies interested in captives are studying costs and rates, sometimes comparing captives to traditional commercial rates. Captive insurance companies differ greatly from traditional commercial insurance companies, which makes comparing the two a bit like the classic apples and oranges analogy. As enterprise risk captive managers, our approach differs from a commercial insurance underwriters, particularly in the type of risk we manage on behalf of our clients. In fact, captives often exist to provide coverage for damages that commercial insurance companies don’t cover. Pricing captives involves a number of factors. First and foremost, a captive is designed to cover the most catastrophic events (we’ll take a deep-dive into loss ratios in Part II), a primary consideration in pricing the cost of a captive. But there are additional issues that we need to consider. As captive managers, we are like an insurer in one key respect: We act as a highly specialized insurance company from the moment we begin the underwriting process until the captive is dissolved. That means we have to staff like an insurance company, work with underwriters, oversee compliance to all regulatory agencies, and assist our clients with ongoing management of their captive. When you take a long view of a well-run captive, the pricing is generally on-par with the 10 – 15 percent profit margin that most healthy commercial insurers report. If you’re shopping for a captive or a captive management company, ask about expense ratios. A well-managed captive should be able to meet a 7 – 10 percent expense ratio relative to premium costs. This expense ratio will be well under a typical commercial insurance provider that has huge operating expenses (around 30 – 35 percent) they are writing commercial, claim-frequency-driven business. The very nature of a captive is to be a smaller and therefor more efficient risk management tool. Once a captive begins to get too big, it will start mirroring the commercial market. What kind of actuarial services do you use? Actuaries drive many of the decisions the captive makes when it comes to underwriting, and you want to be sure that the captive has excellent actuaries who work with the company. How many accountants are on staff? Captives require year-round accounting services, so you want to be sure that there are enough good accountants on board to cover all the captive clients. Ask about turnover, too – working with an accountant long-term who knows you and your business is helpful. Describe processes and documentation for me? Ask the captive manager very specific questions about the documentation they’ll provide to you when your captive is launched, and how they maintain and update all legal and regulatory documents monthly, quarterly, and annually. What kind of involvement will you have with my company and board of directors? A good captive manager will have an ongoing relationship with your company, working with your financial and legal departments to ensure ongoing communication and good management of the captive. Your captive manager will also attend your board meetings to make sure your board is well informed about the captive (especially if you’re nominating any changes to the captive) and to make sure your company is meeting all of your legal and regulatory obligations on a corporate level. Don’t just ask the captive manager these questions, try to get recommendations from clients and other professionals in the industry that they might work with. The real value of the captive is a lower expense ratio that allows you to allocate more dollars to risk. You’re getting specialized management on a focused group of coverages. A captive is a long-term commitment, so make sure you’re doing business with a company that’s operating efficiently with a focus on your business. We’d be happy to answer your questions and talk with you about enterprise risk captive solutions. Contact us. Read Part II of our Enterprise Risk Captive Basics series on captive loss ratios. For the third consecutive year, California, and much of the Southwest, faces serious challenges because of drought conditions. Nearly 60 percent of the state of California is suffering from the worst possible drought impact as measured by the U.S. Drought Monitor. Water restrictions have been imposed throughout the state as reservoirs reach levels near and in some cases below levels measured during the last major drought in 1977. It’s serious business in California. This is the most productive region in the nation for agriculture, and farmers are being forced to pay up to 10 times more for water than they did before the state restricted supply, sending costs soaring, as Bloomberg reports. Farmers who can’t pay the price are watching their crops die, if they planted at all earlier this year in the face of the ongoing drought. Farmers in the Central Valley have already lost $800 million in farm revenue, according to the University of California at Davis. The UC Davis report finds a loss of 17,000 seasonal and part-time jobs as a result of the drought, statewide dairy and livestock losses will represent $203 million in revenue losses, and consumer food prices will be higher. The drought also imposes a heightened risk of wildfires, and the high temperatures that accompany the drought conditions – the highest temperatures on record for January – July, according to the National Climatic Data Center – means a further drain on California’s infrastructure and energy resources. Climate experts predict the drought will last into 2015. Businesses that rely on California produce, and businesses in the region that depend on water for any reason, are finding that they’ll need to improvise. From respecting water restrictions for everyday use, to working hard to find alternatives for agricultural and industrial use, people in all walks of business need to consider and reconsider new water options. Booming business in California include drillers, who are digging deeper and deeper into the earth to find new sources of groundwater, and desalination companies that are working on new alternatives to make that process less expensive and more accessible. Some farmers are turning to alternative crops, while others are letting their fields lay fallow until the drought is over. Those without adequate drought insurance or coverage will find it near impossible to get affordable policies now, and those in the agricultural business who are finding times difficult are turning to federal, regional, and local programs for assistance. The USDA site offers links to programs with information updated regularly. 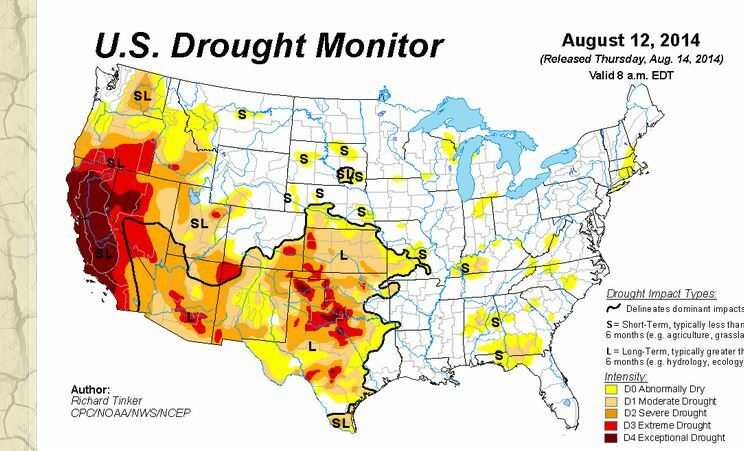 It’s important to keep in mind that California and the Southwest in general are not the only regions that suffer from drought. The University of Kentucky produced a paper, Investigating your Crop Insurance Policy Ahead of a Drought, that cautions farmers in the nation’s heartland to be smart about planning for droughts, as well. As climate issues continue to show signs of change, being prepared is key. Could your business be affected by drought? Work with your insurance provider to find out what kind of coverage you might need, and read about climate conditions in your region. If you find it’s difficult to purchase drought insurance on the open market for your business, consider a captive insurance company as an alternative. Contact us if we can help you learn more. Things just got slightly more complicated for companies that produce toxic or potentially harmful waste. A debate over toxic selenium released by coal mines in Appalachia has been heard and ruled on by the Fourth Circuit Court of Appeals in Virginia, and the court has ruled that claiming ignorance about a toxin is not enough to shield a company from being forced to take responsibility for it once it’s released into the environment. The toxin in question is selenium, a by-product of coal mining, and a pollutant found in rivers throughout the Appalachian coal mining region. The case was brought against A&G Coal which was accused of releasing selenium into area rivers in violation of the Clean Water Act. A&G’s defense – that it was unaware of the fact that it was discharging (or may be in the future) selenium at the time of filing its National Pollutant Discharge Elimination System (NPDES) application with the EPA – failed. The case against A&G was open-and-shut to a certain degree, reports Mondaq – A&G hadn’t answered the question about selenium on the application at all – but the court’s ruling reveals that claiming ignorance about the presence of toxins or other things harmful to the environment may no longer be a defense tactic any company should risk. So, how can a company keep up with compliance? In the case against A&G, there are tables and lists of hundreds of compounds that take up three pages of a two-column document (you can see them here.) Lab testing and other professional services are required just to identify the potential violations, and making contingency plans for all of them can be prohibitive to business. On the other hand, groups like the Southern Appalachian Mountain Stewards, which brought the suit against A&G, will continue to partner with other regional and national groups to battle against pollution, particularly as issues like fracking gain additional publicity. 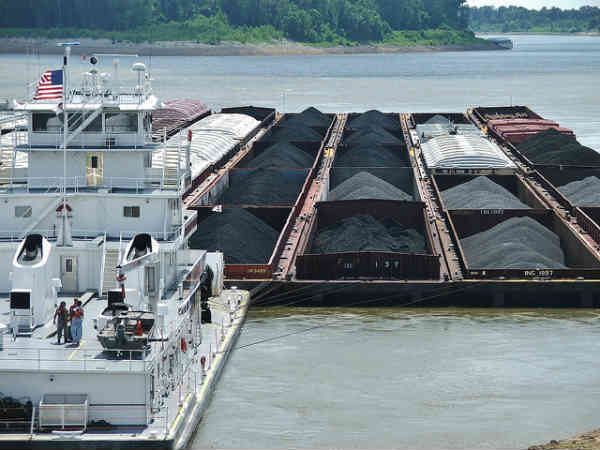 A&G is a giant in the coal industry, with the resources to fight court battles like this one, but what do smaller businesses do to ensure compliance and mitigate issues when they arise? One key strategy is to work closely with the EPA (and/or other regulation agencies) to begin with. If your company might in any way impact the environment, it’s best to hire the right contractors or staff to help you maintain compliance and work with the EPA – and any other regional, state, or federal entities that have regulatory oversight – to understand what you need to do to maintain compliance. The EPA offers compliance assistance as well as incentives for companies who need help paying for upgrades and improvements. You are much better off working with environmental agencies on compliance than battling them in court. It’s always a good idea to check with your insurance provider to make sure you have coverage in case you’re caught on a violation, particularly when violations can be for something you’ve never considered before, or the result of a natural disaster – for example, if a fire, tornado, or earthquake causes a spill or seepage. If you feel your insurance is inadequate, that your deductibles are prohibitively high, or if you find you can’t purchase the kind of insurance you need on the open market, then consider a captive insurance solution. Contact us if you’d like to find out more about how a captive can help in this situation. An article in the National Law Review is painful to read – especially for fans of Tesla, the electric car company that hopes to change the way we drive with its electric cars. “An Expensive Reminder to Secure Trademark Rights Prior to Foreign Expansion” tells the story of a Chinese businessman who registered the Tesla trademark in China in 2006. When Tesla entered the Chinese market, the businessman sued Tesla for more than $3.8 million for trademark infringement, and is insisting that Tesla stop all sales and marketing activities there until the dispute is settled. There are plenty of businesses that don’t have their trademarks properly registered here in the U.S. There are also quite a few marketing directors who have a poor understanding of how trademarks work, and little understanding of how, when, and where they should be used. Neglecting to register and use trademarks appropriately can cause you big problems down the road. If you own a company, or if you’re responsible for trademarks at a company, take some time to learn how trademarks work here in the U.S. Begin with the United States Patent and Trademark Office website to get information on trademarks. 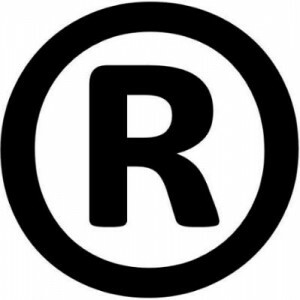 It’s a really good idea to spend an hour or so reading and understanding U.S. trademark guidelines so that you can know how to give direction to an attorney (you’ll probably need one if you’ve got a few trademarks, or anything complicated to deal with) and to your staff once you begin using the trademark. Already have U.S. trademarks? Make sure you’re using them properly in all your promotional materials – and yes, it’s a bit tricky. The USPTO publishes a series of FAQs about trademark usage. If there’s any chance your product can go global, or even expand into other countries in a region, you should also consider filing for trademark protections globally. The World Intellectual Property Organization located in Switzerland manages the Madrid System. This system allows you to apply to seek trademark protection in any country that has signed the Madrid Protocol. Applying does not necessarily mean your trademark will be registered, but it is a good way to start the registration process in more than 90 countries. If you’re worried about getting into a situation like the one Tesla faces, then you should work with a very respectable intellectual property law firm that is known to represent trademark and other IP issues in your industry. The American Intellectual Property Law Association and the National Bar Association are two organizations to look to for a recommendation. Intellectual property suits like the one Tesla faces are the worst-case scenario, but even a small suit in a single foreign country can cost you a lot of time, effort, and money. It’s also a very unhappy surprise to find out you’re infringing on another trademark as you are poised to go to market with a new product. To cover all the bases, take a look at your insurance policies to see what kind of coverage you’d have if you were in domestic or foreign markets without the correct trademark protection. Will your coverage help you in global markets? Will it cover costs for getting the trademark expedited, as well as any lawsuits, work stoppage, and market issues you’ll face? Also, find out what the deductibles are on these policies and make some good judgments about how much you could afford to lose in a situation like Tesla’s. Insurance policies that cover everything in this scenario may be difficult to find on the open market. 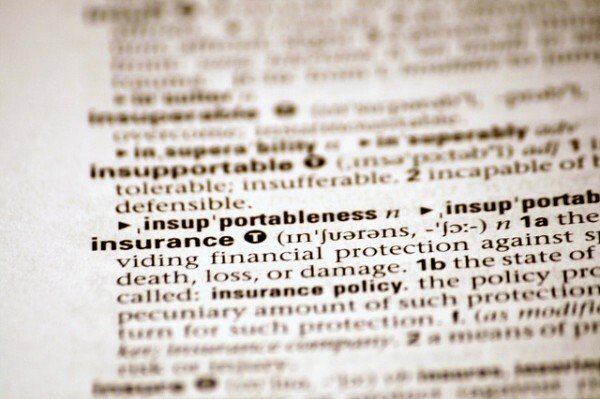 If we can help you understand how a captive insurance policy might help, please contact us. The big banks will have to trudge back to the drawing board to rewrite (again) the “living wills” that will help them die gracefully if their time ever comes. Unacceptable plans will mean they could face additional restrictions on their future growth or they might even be broken up. These plans are being written as a result of new regulations after the financial crisis. Banks must shape up their bankruptcy contingency plans, and pass a “stress test” to show that their policies and practices are sturdy enough to weather another financial storm. Currently, eleven of the biggest banks in the U.S. — those with assets greater than $250 billion — are being told by the U.S. Government Accountability Office (GAO) that their contingency plans aren’t strong enough, as the Wall Street Journal Reports. 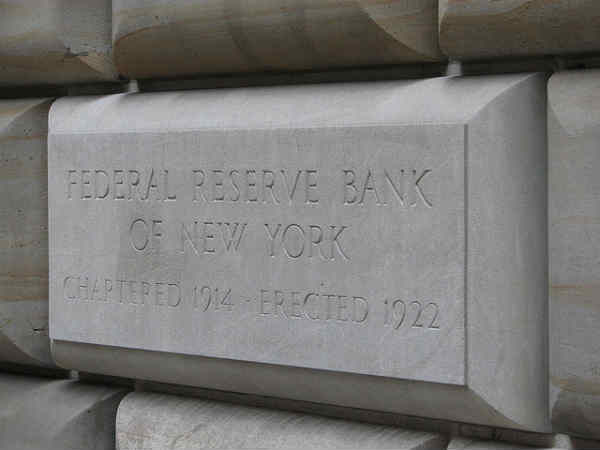 The Federal Reserve and the Federal Deposit Insurance Corporation agree that the banks haven’t done enough to show that the collapse of one bank wouldn’t have a domino effect on the economy. This article in Fortune rounds up some of the other main responses to the GAO study. Whatever your opinion on the “too big to fail issue” might be, bank failure can have a lasting impact on the economy, and could have terrible consequences for your business. As a bank customer, you can’t be expected to know the bank’s policies on investing and underwriting. The only way you can navigate safely at the bank is knowing that the accounts you hold are covered by FDIC insurance, and understanding what your deposit caps are for that coverage. If you own a business, make it your business to understand the FDIC policy and how it works. If your deposits typically exceed covered amounts, work with your financial advisors to create the best arrangements for making deposits at multiple banks, or spread your assets in such a way that they’re working hard for you in the best and safest way possible. That way, a bank collapse might impact you in the short term, but at least you’re covered for the long term. Businesses that have to rely on large bank deposits that sometimes exceed FDIC caps may be vulnerable. Depending on what kind of business model you have, you may want to consider a captive insurance policy, which could provide added insurance to cover a loss of deposits in excess of FDIC limits if your bank failed. Contact us if we can help you explore a captive option. Class action suits are in the news quite a bit recently. A law student in Austria has begun a class action suit against Facebook. Asserting the company has violated privacy laws, the suit demands 500 Euros per person in damages and so far, 17,000 people have joined the suit. AIG reached a $960 million settlement in a complicated class action suit that had to do with securities fraud during the financial crisis, and the NCAA recently settled the class action suit brought against them regarding concussions. It’s easy to think that such suits are reserved for grievances against big and powerful companies, but almost any company that employs people, provides a service or produces goods can be the object of a class action lawsuit. 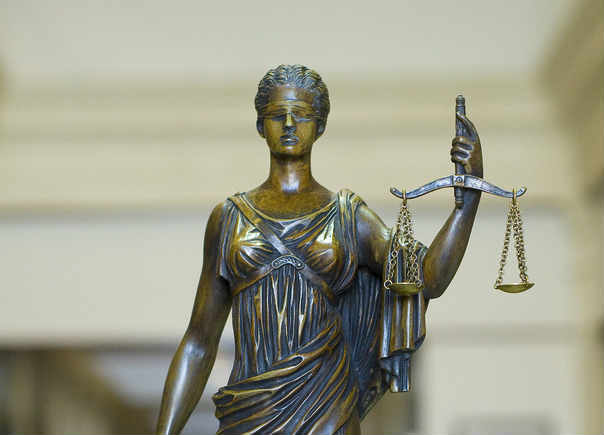 The Class Action Fairness Act of 2005 updates and outlines grounds established for class action suits under Rule 23 of the Federal Rules of Civil Procedure (you can read a good summary on the Cornell University Legal Information site). In short, a class action can be filed in state or federal court, but it must have claims that exceed $5 million and meet other basic criteria. Once the suit is filed, it is up to the judge in the case to certify that the case is, in fact, a class action suit. The judge will then set the definitions for the class, and members of that class are notified under the guidelines set out in the Class Action Fairness Act. Class action suits can be brought against a company on a wide variety of topics. Employees can assert that they have been discriminated against on the basis of race or age, or that they’re working in a hostile environment. Environmental factors can cause class action suits against a company that is suspected of polluting or otherwise harming land, water, or air in a specific region. The production and distribution of a defective product can be the root of a class action suit, or a company’s financial or security practices can be the cause – consider what Target might experience as customers accuse them of not doing enough to bolster security and prevent hacking. Depending on what kind of company you run, you could be susceptible to a number of different types of class action suits. Consider how many employees you have, what kind of products you make or the type of services you provide, and play devil’s advocate for a little while to check your vulnerabilities. Could an environmental group bring a suit against you for a perceived infraction against local or regional laws? Has HR had a spate of complaints recently that show any kind of pattern of discrimination? Do you work with an outside auditor often enough to feel secure that your company’s financial practices are above scrutiny? Adding some safeguards may be enough to ensure that you won’t be the subject of a suit, but it’s always a good idea to make sure that you have coverage in place to help pay for legal and ancillary costs in case a suit is ever brought against you. As your company grows, you need to adapt to the success your growth brings, but also the new vulnerabilities you face. Talk with your insurance broker to see what type of liability coverage you have in case of a class action suit. If you feel like your situation calls for additional coverage, consider a captive insurance company as an option – contact us and we will be happy to work with you to see if it’s a viable solution. Farmers’ dropped the suit against municipalities in the Chicago region, but arguments like this one will only heat up in the years to come. The National Oceanic and Atmospheric Administration just released a report on nuisance flooding – flooding that causes public problems such as road closures, and compromises infrastructure. 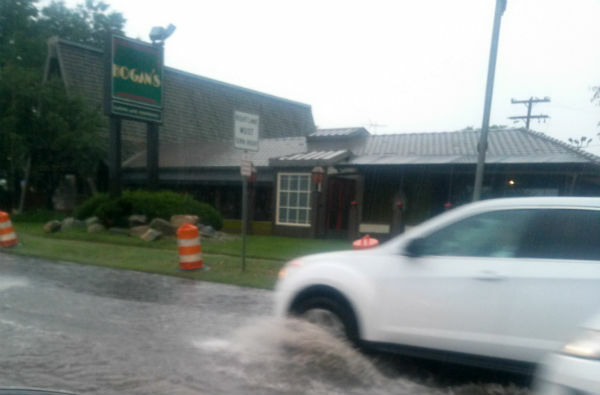 The report finds that nuisance flooding is on the rise as ocean levels increase. Cities most at risk are coastal cities like Annapolis and Baltimore, Maryland, as well as San Francisco, but inland cities near rivers and large bodies of water are also increasingly susceptible to nuisance flooding, not to mention cities that have experienced quick growth without the right kind of city planning. There are many contributing factors to nuisance flooding, and civic and regional officials need to consider infrastructure and flood planning more carefully. Perhaps you should take a second look at your property and your interests to see if you are under additional risk. FloodSmart.gov is an excellent resource for families and business owners. The site provides extensive information about insurance options, and also has an interesting “floodwatch” app that allows you to see flood threats by ZIP code. The site can help you understand the insurance issues that surround flooding and can also assist you in knowing what to do if you’re hit by flooding. If you’re really worried about a particular area, check with the state university’s extension service or office in that area – extension offices are staffed with professors who know and understand the region well and they can work with you to help you understand weather and erosion patterns in the area, or work with you to answer questions you might have about building or maintaining property. The debate can rage on about climate change, but, as the NOAA report points out, the data was collected from 45 sites where NOAA has kept water level gauges for years, and the simple fact of the matter is that water levels are higher. If you or your business is at risk, take the time to really understand your current policies and find out if you have the right kind of coverage for all of the categories of flooding that might impact you. If you operate in a high-risk area, you may have to consider options outside of the traditional insurance market. If we can help you understand how a captive insurance company might help you, please feel free to contact us.